Aerobic exercise can help you lose significant weight, according to a University of Kansas study published in the journal “Obesity” in March 2013. In the study, participants burned 400 to 600 calories per session, five days per week for 10 months. At the end, those in the 400-calorie group had lost an average of 4.3 percent of their body weight, while those in the 600-calorie group had shed 5.7 percent. If you want to duplicate these results, get up and start moving. 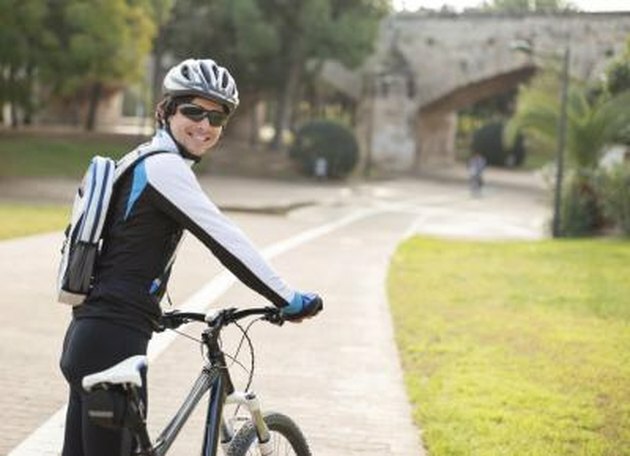 Walking and cycling are two low-impact ways to burn calories and help you win in the battle of the bulge. Cycling isn’t necessarily better than walking when your goal is weight loss. Cycling does have an advantage over walking in terms of calorie burn. You need to burn calories to help you create a calorie deficit to lose weight. In one hour of leisurely cycling, at a pace slower than 10 mph, a 155-pound person burns 281 calories. 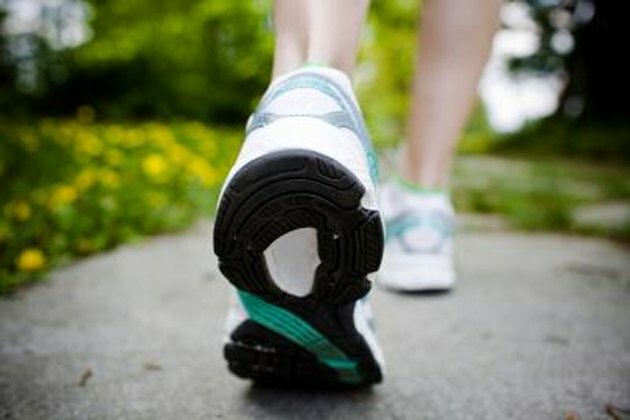 Walking at a pace of 3.0 mph burns 232 calories in an hour. As your speeds in cycling and walking increase, so does your calorie burn. Walking at 4.0 mph burns 352 calories an hour. Bring it up to a race-walking speed of 5.0 mph and burn 563 calories in an hour. 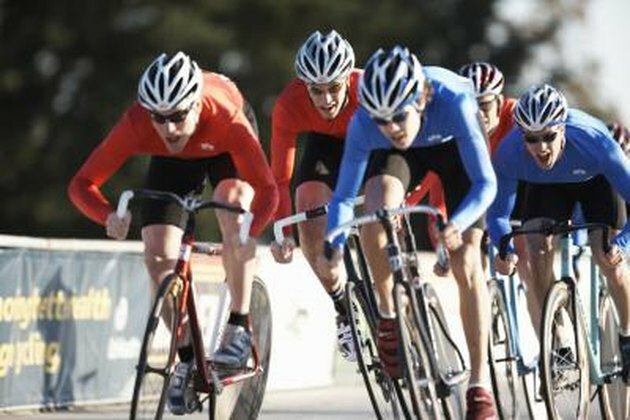 Cycle at 12 mph and you’ll burn 563 calories; hit a racing speed of 16 to 19 mph and burn 844 calories in an hour. Although cycling has the potential for a greater calorie burn, if you never feel confident enough on your bike to go faster than 10 mph, you may be better off race-walking to burn more calories to lose weight. Steady-state exercise can get boring and may not be as effective at stimulating weight loss as interval training, notes a meta-analysis published in the “Journal of Obesity” in 2011. Interval training, in which you alternate all-out effort with reduced effort for a recovery period, has proven to stimulate certain fat-burning mechanisms. You can perform intervals while walking, but you may have trouble getting your heart rate to near maximum without breaking into a run. To reach a near-maximum workload on the bike, you’ll still have to work hard, but you won’t have to incur impact on your joints. You just have to ride up hills, shift gears and pedal faster. Cycling can be an expensive weight-loss method. High-quality bikes can cost in the thousands, and even basic roadsters can set you back a few hundred dollars. A helmet is a necessary expense too. For longer rides, you’ll also appreciate biking shorts and stiff-bottomed cycling shoes. Bike maintenance can also run a few hundred dollars a year. Walking requires only an investment in a good pair of shoes. Walking is also always available: You don’t have to transport your bike to fit in your workout. You can do both forms of exercise indoors -- on a treadmill or a stationary cycle -- or outdoors to connect with nature. 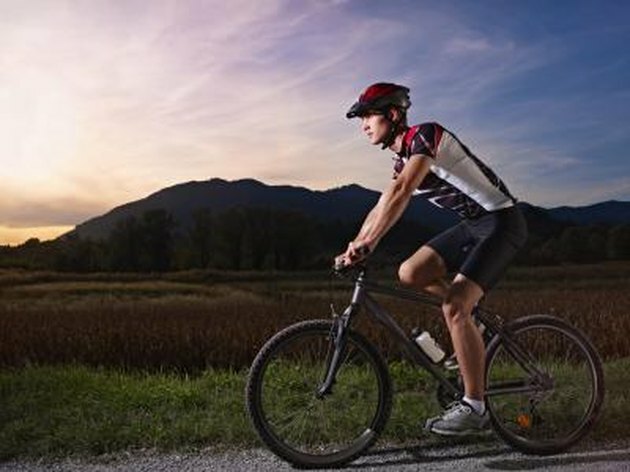 Biking enables you to cover more outdoor miles in one workout session, however, so if seeing a lot of scenery inspires you to exercise, it may be superior. 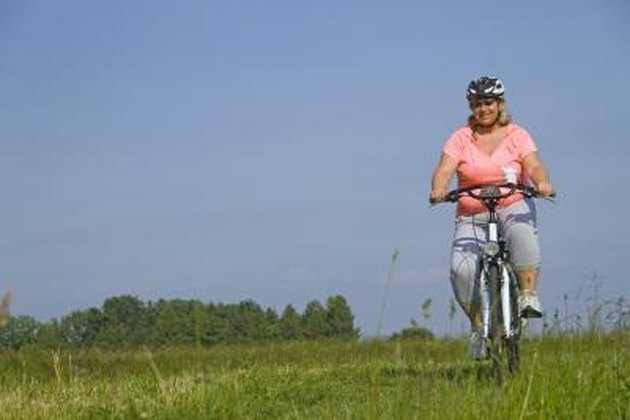 For people who are 50 pounds or more overweight, cycling may be more pleasant. Walking puts pressure on the joints, which can be painful, especially if you have arthritis or other joint problems. If you find your form of exercise painful, you are less likely to do it and -- as the University of Kansas researchers showed -- the route to weight loss with exercise is through consistency. When it comes to walking or cycling, you ultimately have to determine which one inspires you to get up and move. Even if you decide cycling is better in terms of calorie burn and intensity, if you despise riding your bike or hitting the road with the cars frightens you, it's not the best exercise for your weight-loss goals. You must choose the workout that will get you moving most days of the week. Perhaps the best option is to incorporate both into your workout routine. This will provide you with options and variety, both of which may increase your adherence to exercise and improve your chances of losing weight. Which Is Better Exercise: Walking or Biking?